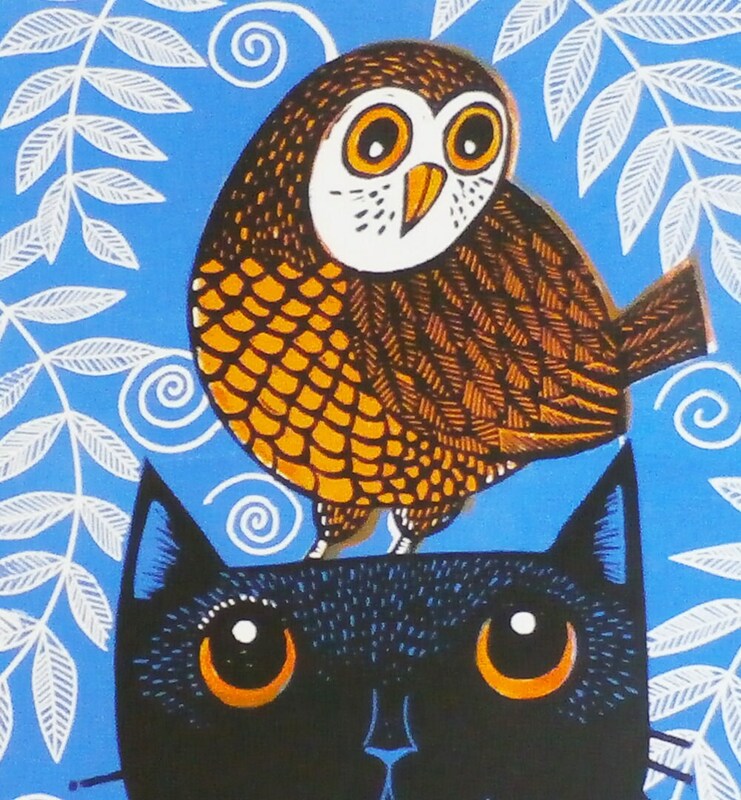 This Owl and Cat print is an original linocut print (NOT a digitally reproduced print). 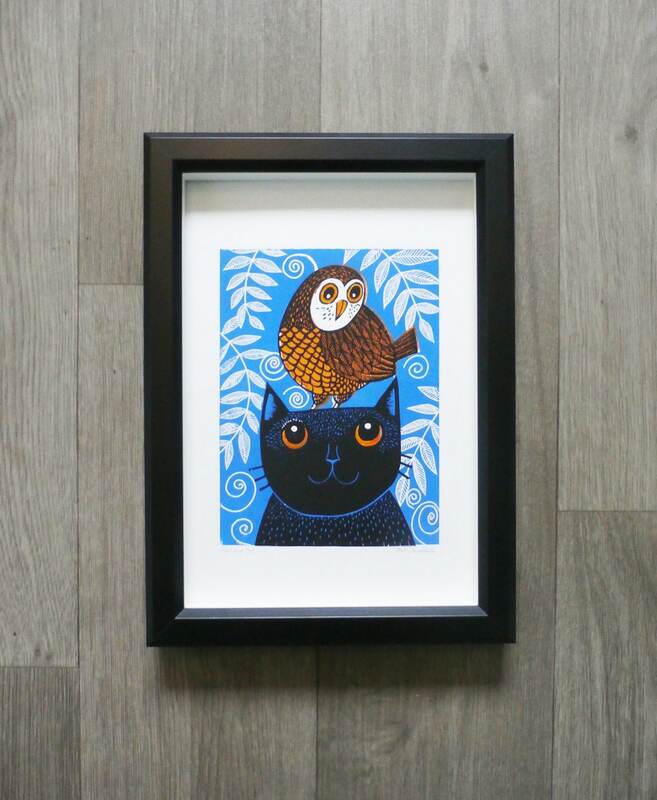 The Owl and Cat have been drawn and carved into linoleum and hand printed by me using water based ink onto 220gsm Seawhite paper. As I individually print all my items, there are very small variations between the print. But that is what makes them all original and individual! The size of this pair is 14.5cm x 20.5cm and the paper size is 20cm x 28cm. 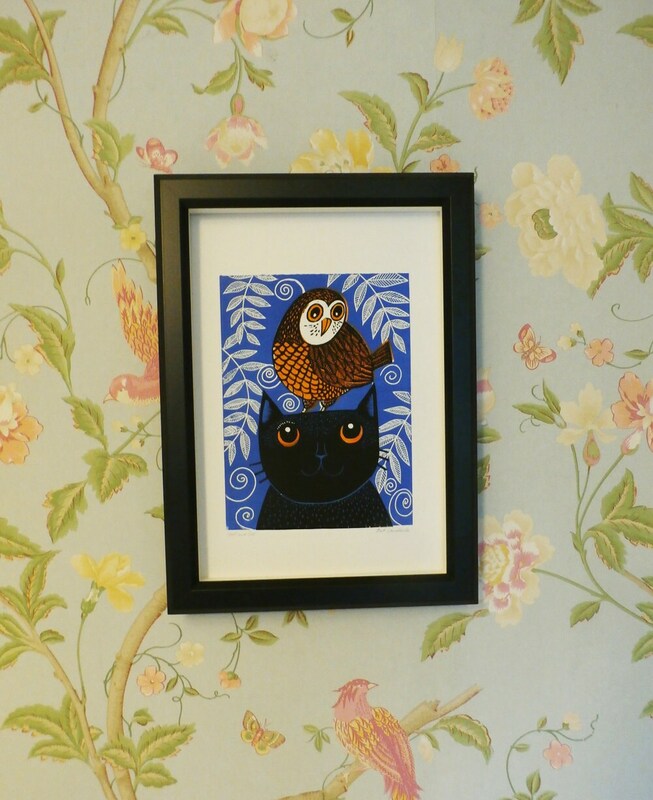 Thank you so much for the beautiful print.the colours are bright and the picture is charming. It has arrived in a perfect condition. A charming and lovable print ! 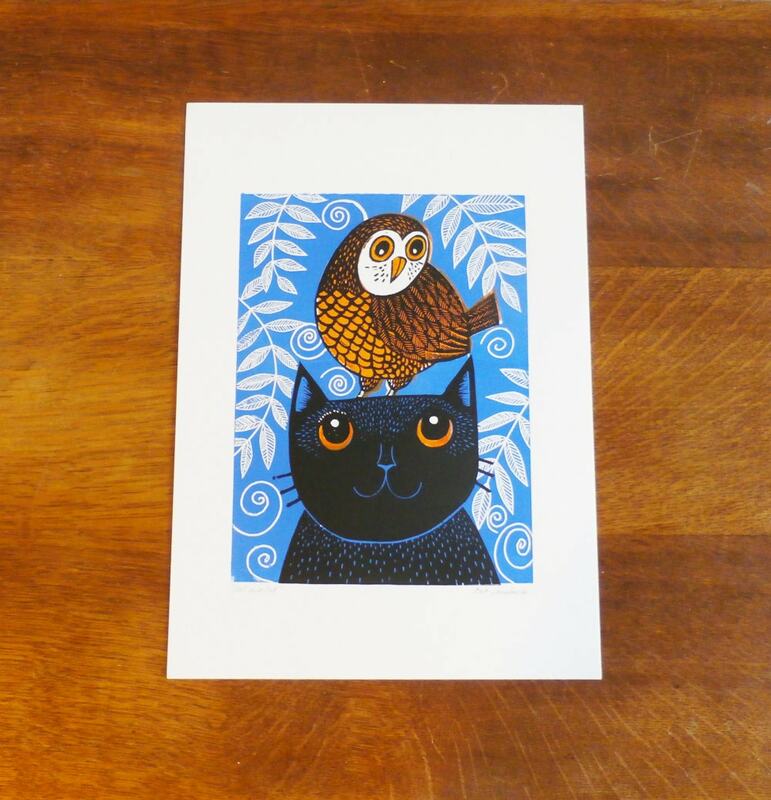 Absolutely fabulous-Arrived quickly and quality work! I am so thrilled with this purchase! The item is exactly as pictured. Thank you so much!